Way back in the late sixties Charlie was rehearsing with Pete Brown's Battered Ornaments in Studio 51 in Covent Garden, when Lyn Dobson sidled up to him in a break and said: 'psssst! Do you wanna play some REAL music?' A few days later Charlie found himself in the back room of a house in Southgate where Mel Davis and Terry Day were playing the most amazing music he had ever heard: fast, complex, lyrical, technically incredible, spiritually rich and seriously FREE! Really the London cousins of the likes of Ornette, Cecil Taylor, Sunny Murray, Pharaoh Saunders and Sun Ra, the People Band was the band that convinced Charlie that music is the only way. 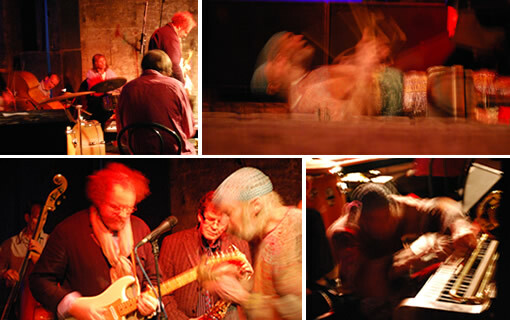 Every since the sixties the People Band has been a legendary name in British improvised music, and it's influence has been felt by many younger musicians. Following a long period when the band was not performing, the People Band is now back in action, and delivering powerful shows. 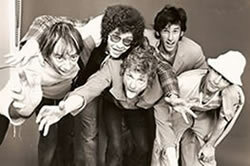 Emanem rescued the Transaltlantic album (The People Band, produced by Charlie Watts) from oblivion and followed it up with the release of People Band 69/70. 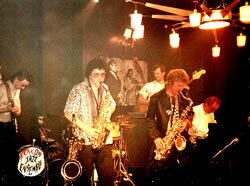 The People Band featured in Mike Figgis' first feature film Stormy Monday as the Krakow Jazz Ensemble. Mike Figgis also has been in the band since early days. Three of the People Band - Davey Payne, Charlie Hart and Terry Day - worked with Ian Dury in Kilburn and the Highroads, and Davey Payne went on to be an outstanding member of the Blockheads, bringing free music to the world of Rock and Roll. Following these two CD releases 10 original members of the band are performing again - eg. at the Vortex, Café Oto, Shunt Lounge in London and they are now intending to go further afield. They are scheduled to play at the King's Place, London in 2010.